There are many people who likely haven’t heard of Celebration, Florida. There are some who know it as “the town that Disney built,” with hidden Mickey Mouse logos in the power lines and a night time view of the Magic Kingdom’s fireworks every night. Then, there are the myriad of articles online when you Google the town painting it as a creepy, failed planned community. In reality, Celebration is just another victim of the housing crash panic from years ago, much like anywhere else in the country. The Walt Disney Company bought the land that would become Celebration in the 1990s, built the community in 1994, and welcomed its first residents in 1996. Being close to Disney and local comforts like trash pickup, “snow” in the winter, and everything you need within a walkable, compact town center were great selling points. The town’s idea was shaped by former CEO Michael Eisner in memorial to Walt’s jumping-point idea of EPCOT – an experimental, world showcase type city. Designers took great lengths in laying out the town, with areas like downtown Market Street looking like you stepped into one of the theme parks. 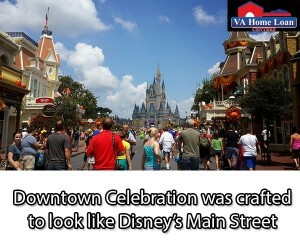 Primarily, Celebration was touted as a Disney town wanting to be compared to the park’s iconic Main Street. Problem is, a series of unfortunate events painted the town to be scarier than the Haunted Mansion ride. Around the year 2010, there was trouble as Celebration had double the foreclosure rate of the state’s average. A U.S. Air Force veteran living there who was on the verge of foreclosure and divorce killed himself, and then there was a murder a few days before the suicide. The homes were priced 30 percent more than homes in surrounding areas, but that was because of a premium being paid for local amenities. It’s five years later, and due to that strand of over-embellished bad luck and cache of old stories, Celebration is now perceived as a place to stay away from. In reality, the town has now come back to the ideals which it was once established upon. A town that still lends its history to Disney, the five ideals of living here ring true with citizens. Having a sense of community, a sense of place, a focus on technology, a focus on education, and a focus on health are the most important aspects for the citizens of this planned community. It seems Celebration is a victim of outdated information from years past. The bounce-back in the real estate market and the slow improvement of the national unemployment rate have returned some of the luster to Celebration. 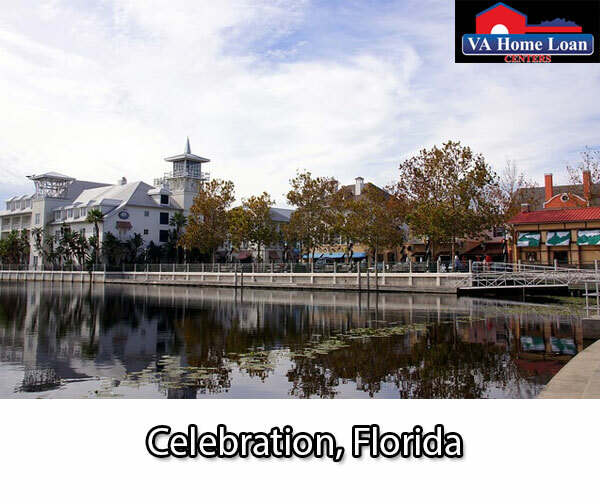 According to AreaVibes, the town of Celebration is the 18th best city/town to live in for Florida, has an 85 percent livability rating, and has a majority of high grades for all aspects of living. Despite being “infamous” for a murder and a suicide, this Disney-esque town currently has a crime rate more than 60 percent lower than Florida’s average. Other great aspects of this town are that gas prices are lower than the Florida average, education quality is 18 percent higher than the Florida average, the work commute times are shorter, and the unemployment rate in town is drastically low at 2.7 percent. 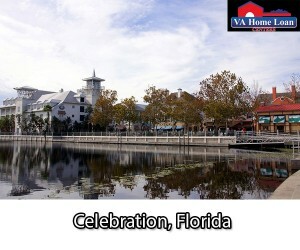 The FHA and VA home loan can be used here, which is another plus. With low interest rates of the FHA home loan and zero money down, with no down payment required, for the VA home loan, the dream of essentially living next door to Mickey Mouse is definitely possible. While there are million dollar mansions available in Celebration, there are very reasonable homes for those wanting to pursue the ideals of Celebration. According to BHG Fine Living, there are multiple bedroom and bathroom condos along Celebration Avenue that are either a little above or below $300k, or rare finds like a 4 bedroom 3 bathroom house on Longview Avenue at $289k. There are also quite a few properties listed under $200k in Celebration, as well! For those not ready to move here yet, there are home rentals available in Celebration via Craigslist, alongside some selling their homes on the community site. It’s possible to have a vacation home practically next door to The Magic Kingdom. Despite the old jabbering of critics, Celebration has made it. Fordlandia, a suburb in the Amazon built by car mogul Henry Ford in the early 1900s, lasted less than 10 years. The utopian, New Jersey-planned community Helicon Home Colony from The Jungle writer Upton Sinclair lasted less than half a year. Celebration survived, and has grown. If you want to move to Celebration, contact us to help you fund and find your new home! Call (877)432-LOAN or tweet us at @fedhomeloan. We can also help you buy a home or sell a home anywhere in the country!